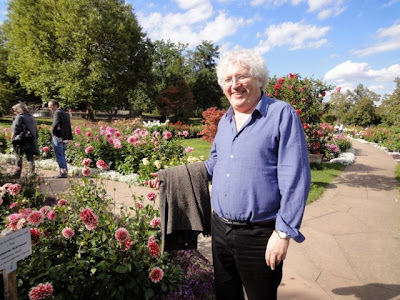 Lama Jampa will again be attending the Rimay Monlam, a Tibetan Buddhist prayer gathering, from May 31 to June 3, 2013 at the Garrison Institute in up-state New York. 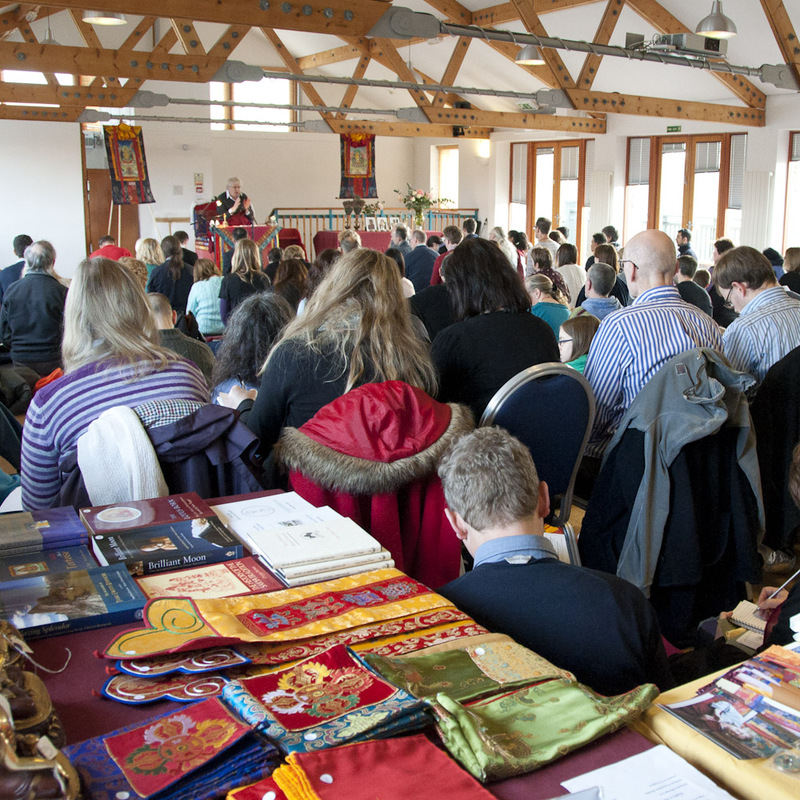 The Rimay Monlam is organized by Lama Surya Das and Tulku Sherdor and this will be its second year. The event is inspired by the Monlams that have been held in India by the different Tibetan Buddhist traditions over the last 20 years. His Holiness Sakya Trizin and His Holiness Karmapa recently attended the Sakya and Kagyu monlams respectively in India. Members of the Dechen North American sangha will be attending this event. Welcome to Dechen Sites. This is your first post. Edit or delete it, then start blogging! Lama Jampa Thaye taught part two of 'The Friendly Letter' by Nagarjuna from the commentary 'The Telescope of Wisdom' by Karma Thinley Rinpoche in Manchester on the weekend of 8 to 9 December. 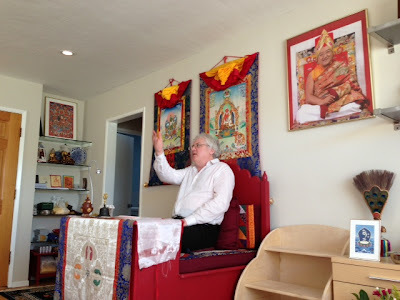 Lama Jampa taught the section on Meditative Concentration. Part 3 will be on the weekend of 8 to 9 February 2013. Lama Jampa also gave the initiation of Vajrasattva from the Choling lineage along with the lung for the Vajrasattva section of the Ngondro from the liturgy by 9th Karmapa Wangchuk Dorje and the chapter from 'The Torch of Certainty' by Jamgon Kongtrul. Lama Jampa mentioned that Karma Thinley Rinpoche was now in Canada where he would spend the winter before returning to Nepal in April. 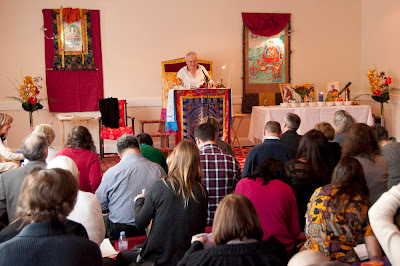 On 1 December, Lama Jampa Thaye taught the Heart Sutra and bestowed the initiation of Prajnaparamita in London at an event hosted by Sakya Dechen Ling. At the end of the day's teaching, Lama Jampa explained that the Heart Sutra formed the basis of the Madhyamaka view and encouraged those present to study the more extensive presentations of the view contained in in the works of such great masters as Nagarjuna. Lama Jampa's next teaching will be on the weekend of 8 to 9 December in Manchester where he will continue teaching Karma Thinley Rinpoche's commentary on the Friendly Letter and bestow the initiation of Vajrasattva. For details of this event please click here. On November 13 Lama Jampa Thaye and Dechen Dolma flew to New Delhi to begin their two week trip to India. After spending a day in New Delhi they travelled to Rajpur to stay at the Phodrang of His Holiness Sakya Trizin for four days. During this time His Holiness bestowed private teachings including the transmissions for works by Sachen Kunga Nyingpo and Jamyang Khyentse Wangpo. 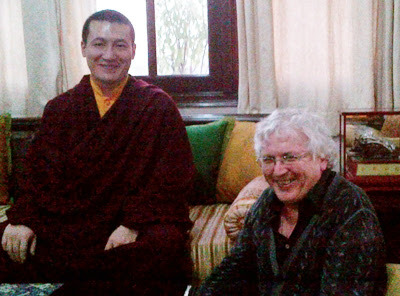 Lama Jampa and Dechen Dolma left to return to Delhi on Monday November 19. On the following day, His Holiness and family departed for Lumbini where the annual Sakya Monlam began on November 22. At the suggestion of His Holiness Karmapa, Khenpo Mriti, the administrator of the Karmapa International Buddhist Society had invited Lama Jampa to teach at The Karmapa International Buddhist Institute (KIBI) in Delhi. 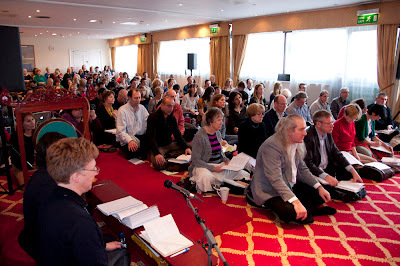 This was during the course of a one month Shamatha meditation programme for beginners. 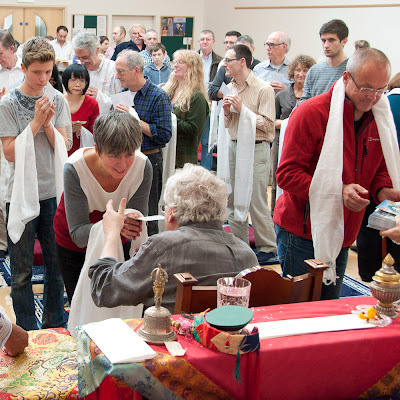 Lama Jampa and Dechen Dolma stayed at KIBI for seven days and one hundred people from various countries were present for the course during which Lama Jampa taught for five days on the Four Dharmas of Gampopa. During their stay at KIBI, Lama Jampa and Dechen Dolma also met privately with His Holiness Karmapa to discuss future plans and developments in the Kagyu world and in particular His Holiness' special concern with the need to provide Buddhist schools. His Holiness will soon travel to Bodhgaya where the annual Karma Kagyu Monlam will begin in mid-December. Shortly afterwards he will fly to Hong Kong to give two weeks of teachings. Lama Jampa and Dechen Dolma returned on November 27 to London where Lama Jampa will be teaching this Saturday December 1. For details of the event please click here. 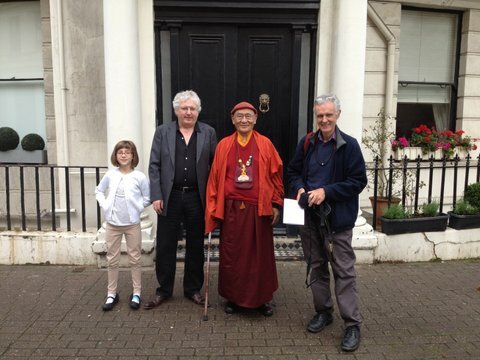 On 9 to 10 November Karma Thinley Rinpoche stopped over in London on his annual journey from Nepal to Canada having spent several months this year in Nepal and Tibet. 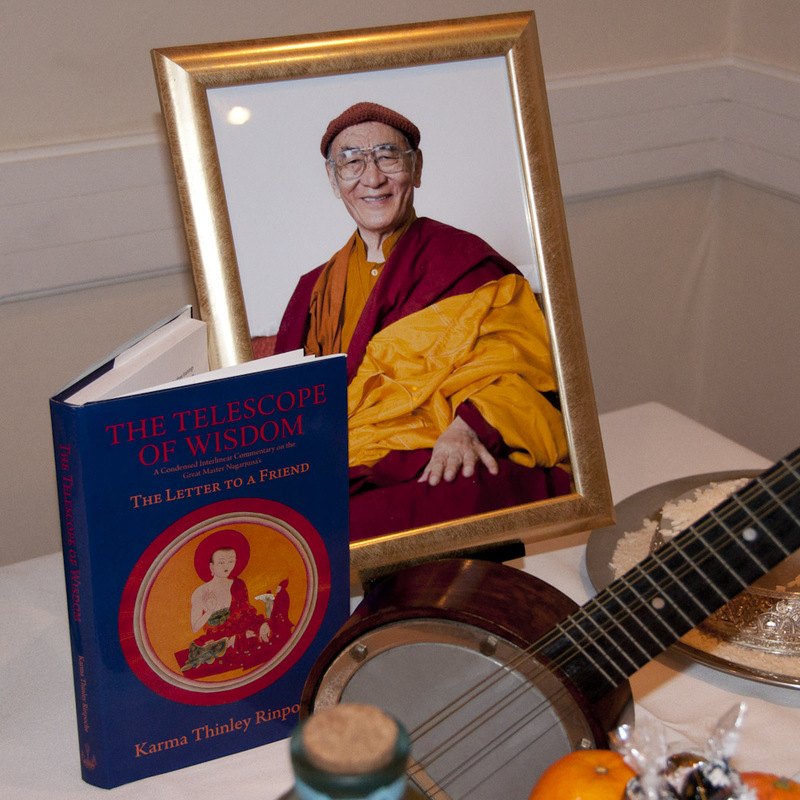 Rinpoche was hosted in London by Lama Jampa Thaye and Dechen Dolma. During the day Dechen Centres around the world also conducted the customary prayer rituals to to mark Lama Jampa's birthday. 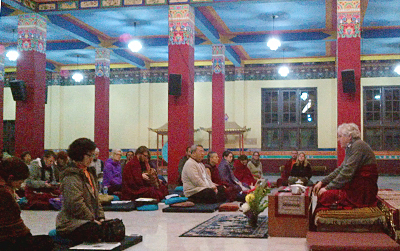 On Saturday 13th October, to a well-attended audience, Lama Jampa Thaye continued teaching Chandrogomin’s master-work entitled ‘The Twenty Verses on the Bodhisattva Vow’, using the detailed commentary by Jetsun Drakpa Gyaltsen. He emphasised how essential it is for dharma students to develop loving kindness, compassion and the altruistic motivation of bodhicitta. This inspirational teaching will continue into next year with the next part being given on 12th January 2013. 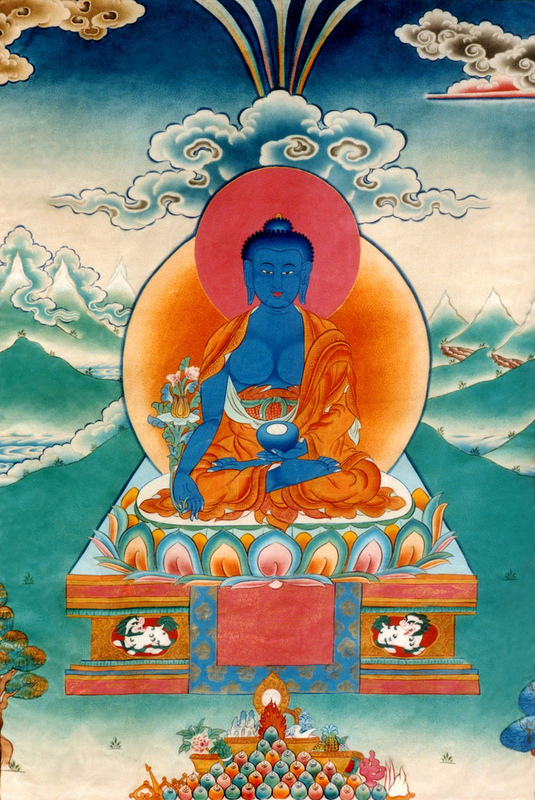 In the afternoon Lama Jampa bestowed the initiation of Simhanada Chenrezik and at the end explained that this initiation is contained both within the collection of The Thirteen Golden Dharmas of the Sakya school and The Hundred Sadhanas of Bari Lotsawa. 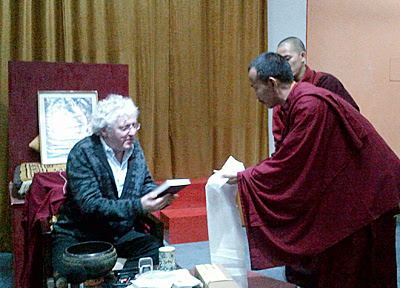 Lama Jampa received the the former lineage from His Holiness Sakya Trizin, and the latter from Karma Thinley Rinpoche. Later in November Lama Jampa and Dechen Dolma will travel to India to receive teachings from His Holiness Sakya Trizin and His Holiness Karmapa. He has also been invited to teach The Four Dharmas of Gampopa in Delhi. 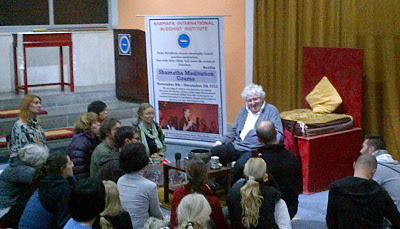 This will be the first time Lama Jampa has given teachings in India. This post has also been translated into German for the benefit of sangha members in Sakya Dechen Ling, Stuttgart. Lama Jampa Thaye visited Sakya Dechen Ling, Stuttgart on the weekend of 29 to 30 September. 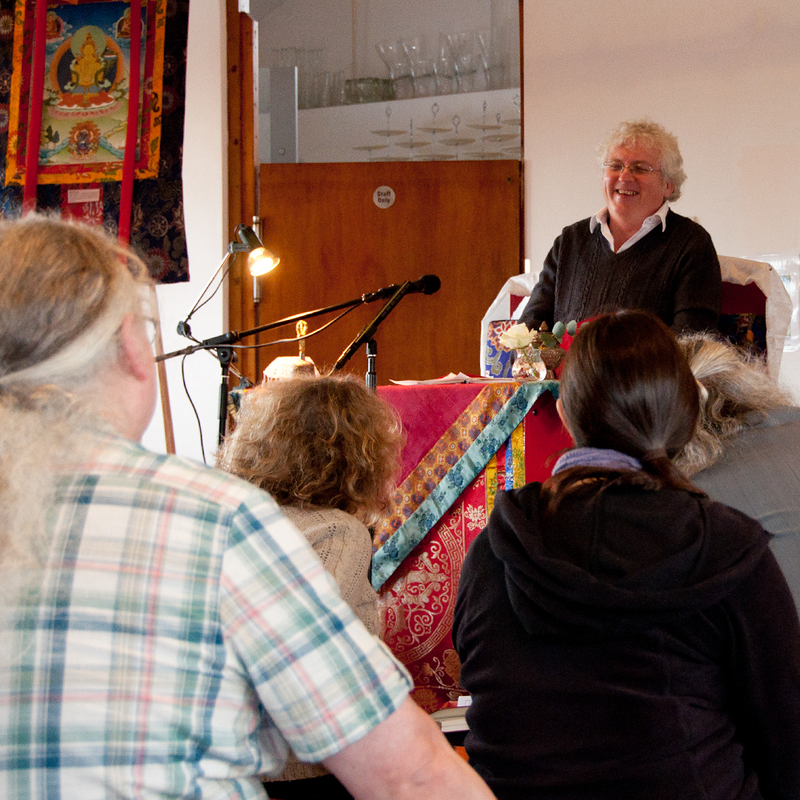 Lama Jampa continued teaching "The Telescope of Wisdom", covering verses 15 to 35. Due to the time required to translate into German it will take another three visits to finish the book. Lama Jampa also bestowed the initiation of Yellow Dzambala and, on the Sunday morning, explained the history and future prospects of the Sakya Changlochen Ling project. Am 29. und 30. Oktober hat Lama Jampa Thaye Sakya Dechen Ling, Stuttgart besucht. 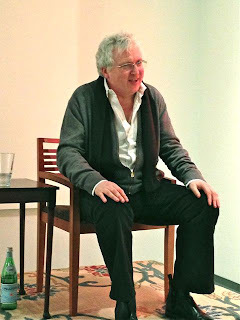 Lama Jampa setzte seine Erklärungen zu "Das Teleskop der Weisheit" weiter fort und behandelte die Verse 15 bis 35. Da die Übersetzung ins Deutsche einige Zeit in Anspruch nimmt, wird Lama Jampa im kommenden Jahr weitere drei Belehrungen zu diesem Text geben. Am Sonntag Morgen gab Lama Jampa die Einweihung in den "Gelben Dzambala", nachmittags ging Lama Jampa auf die Geschichte von Changlochen, dem Retreat Zentrum in Frankreich ein, und beschrieb die weiteren Perspektiven die durch die Erweiterung dort bestehen. 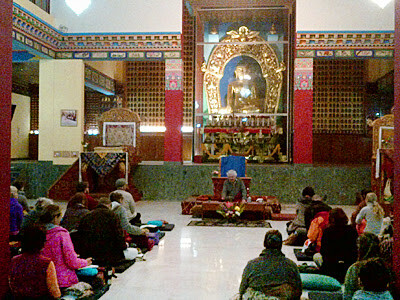 The next visit of Lama Jampa to Sakya Dechen Ling, Stuttgart will be on the weekend of 2 to 3 February 2013. 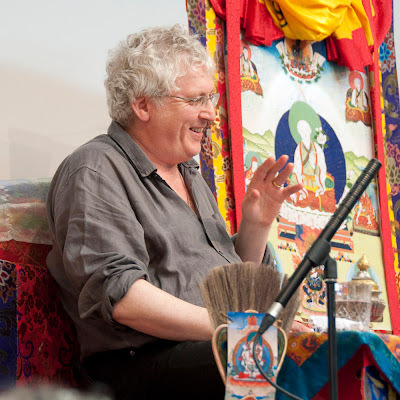 Lama Jampa's next teaching will be in Bristol, UK on 13 October where he will continue teaching the Twenty Verses on the Bodhisattva Vow by Jetsun Drakpa Gyaltsen and bestow the Initiation of Simhanada. Wir freuen uns auf den nächsten Besuch von Lama Jampa bei Sakya Dechen Ling, Stuttgart, der für den 2. und 3. Februar 2013 geplant ist. Am 13. Oktober ist die nächste Veranstaltung mit Lama Jampa in Bristol, England, wo er die Erklärungen zu den "Zwanzig Versen des Bodhisattva Gelübdes" von Jetsun Drakpa Gyaltsen weiter fortsetzen und die Einweihung in Simhanada geben wird.